Contact the UAE- UNITED ARAB EMIRATES Vending Machine Companies to find out more information about their vending services. 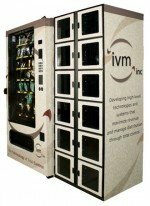 All tyes of Vending machines Snack, Soda, Food, Drinks, Coffee, Healthy Vending, Micro Markets, Amsusement Games, repair services and more! AROMA VENDING MACHINES – Abu Dhabi – United Arab Emirates. AUTOMATIC SERVICES CORPORATION – Vending machine dealers, Abu Dhabi, United Arab Emirates. Clinton’s Trading Est – Vending Machine Trading in UAE. Suppliers/dealers of soft drink, snack, Coffee and combo vending machines in Dubai, Saudi, Kuwait, Bahrain, Oman. The first vending machine was made in first century AD by Hero of Alexandria, Who knew! Moka Trade– UAE Vending Machines, Dubai, United Arab Emirates. Snack Zone Vending Services LLC -We are the agents of major vending systems from the USA and Europe, We are also the suppliers of vending ingredients, coin mechanisms and all spare parts.